With Goa Chief Minister Manohar Parrikar's demise, the BJP-led coalition government is now in a huddle to choose the next chief minister. Race to Goa Assembly begins: Goa Forward Party chief Vijai Sardesai and MGP leader Sudin Dhavalikar will be the Deputy Chief Ministers of the coastal state, reports claimed. Race to Goa Assembly begins: BJP Leader Pramod Sawant to succeed Manohar Parrikar as new Goa CM. Swearing in at 9 PM, claimed sources. Race to Goa Assembly begins: Meanwhile, Goa BJP president Vinay Tendulkar said that the decision on the chief ministerial candidate will be taken by 2pm and swearing-in will be scheduled post 3pm for Monday. Race to Goa Assembly begins: The Congress Legislative Party (CLP) met in Panajim on Monday morning. Leader of the Opposition Chandrakant Kavlekar said that the party MLAs decided to walk to the Raj Bhavan uninvited, after the governor refused to give them an appointment. The opposition party had written to her, staking claim to form the government on Friday and then again on Sunday. Race to Goa Assembly begins: All 14 Congress MLAs in Goa to meet Governor to stake claim to form government, says Leader of Opposition Chandrakant Kavlekar. Race to Goa Assembly begins: Another candidate whose name is being discussed is health minister Vishwajit Rane, according to sources. While, Pramod Sawant has support of the BJP lawmakers, independent MLAs and the Goa Forward Party are throwing weight behind Rane. Race to Goa Assembly begins: BJP’s Pramod Sawant is believed to the forerunner in the race to become the next chief minister of Goa. New Delhi/Panjim: A day after Goa Chief Minister Manohar Parrikar (63) breathed his last, the BJP-led government of the coastal state finds itself in a huddle with its alliance partners to finalise the next chief minister. Lawmakers from the BJP-led coalition government have been holding hectic parlays since Saturday to reasses the situation in the Goa power corridor- while staring at threats from the Congress party trying to stake claim at the House. 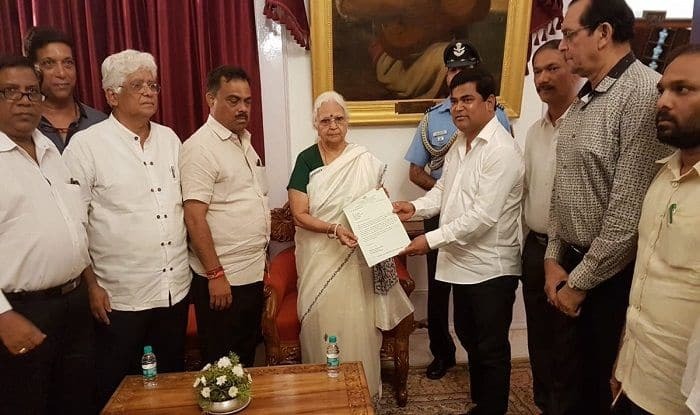 Claiming to be the single largest party in the 36-member state legislative Assembly, the Congress on Sunday formally staked its claim to form government in Goa with Governor Mridula Sinha. With the demise of sitting Goa Chief Minister, the strength of 40-member Goa Legislative Assembly has been reduced to 36. BJP MLA Francis D’Souza died last month, while two Congress members had resigned last year.